Growing Christian Resources: When does the Christian life begin and what takes place at it's beginning? When does the Christian life begin and what takes place at it's beginning? Hebrews 2:3 "how will we escape if we neglect so great a salvation? After it was at the first spoken through the Lord, it was confirmed to us by those who heard." When does the Christian life begin and what takes place in that beginning? What ought to occur after it has begun? These two questions merit a two-part series, since Hebrews 2:3 states - "how will we escape if we neglect so great asalvation? After it was at the first spoken through the Lord, it was confirmed to us by those who heard." Hence today's post will deal by answering the first question, with tomorrow's post dedicated to answering the second question. When does the Christian life begin and what takes place in that beginning? First, all Christians have the Holy Spirit indwelling them from the moment of regeneration in saving faith (Romans 8; 1 Corinthians 3:16; 6:19-20; James 1:18; 1 Peter 1:4-5). The miracle of regeneration begins the Christian life, and is made possible by the Holy Spirit. He is the One who works in the human heart, with the simultaneous outworking being the sinner's willful response of faith and repentance in conversion. 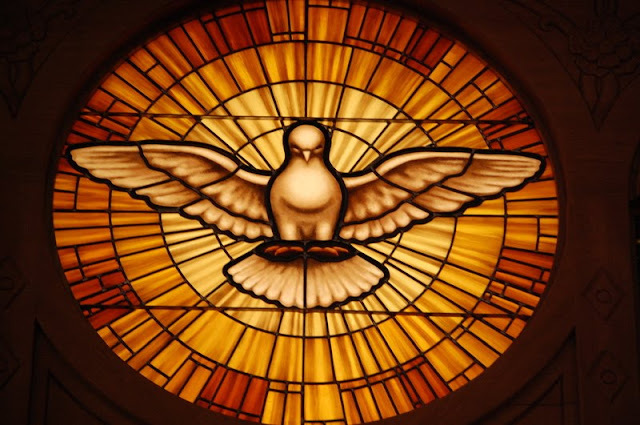 Were the Holy Spirit not active in salvation - no one would be saved (John 16:8-12). If no one responded in saving faith and repentance, no one could receive such salvation and have it applied. Secondly, once the sinner has believed upon Jesus and repented of their sins, the Holy Spirit unites the new Christian to Jesus Christ through what the Bible calls "Spirit-baptism" (1 Corinthians 12:12-13). The Baptist Faith & Message 2000 affirms what we have written thus far: "Salvation involves the redemption of the whole man, and is offered freely to all who accept Jesus Christ as Lord and Saviour, who by His own blood obtained eternal redemption for the believer. In its broadest sense salvation includes regeneration, justification, sanctification, and glorification. There is no salvation apart from personal faith in Jesus Christ as Lord." At this point, we are talking about logical, rather than chronological order of the events in the beginning of salvation. In regards to time and experience, the scripture bears out that regeneration, faith, repentance, Spirit-baptism, justification and adoption are experienced all at once. In the logic of scripture's teaching on salvation, following regeneration, saving faith, repentance and Spirit-baptism - God the Father then pronounces the guilty sinner an innocent saint through His judicial decree of justification. (Galatians 3:16). Justification is where the Father credits to me by faith alone the righteousness of Jesus Christ. Furthermore, the father relationally declares the saint of God a son or daughter of His by adoption (Romans 8:14-16; Galatians 5:4-5). All of this occurs instantaneously. All of this occurs at the beginning. The person has journeyed from being a condemned sinner to becoming instantly a converted saint - regenerated, faith believing, repentant, justified, adopted - all thanks to the Spirit's working, the Father's will and the Son's finished work.